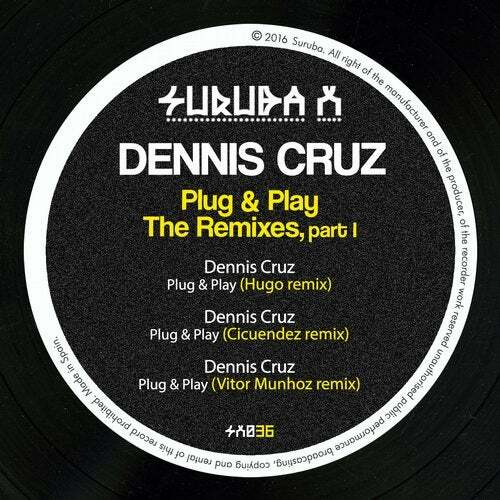 Suruba is proud to announce SURUBAX036 Plug & Play, The Remixes Ep from Dennis Cruz to be released worldwide in Los Surubas imprint on March the 21th (Beatport Exclusive). The successful Dennis Cruz "Plug & Play was a dance floor bomb and It was a just matter of time until we had to release the remixes. For this special occasion we welcome Hugo (Material/ Gruuv/ 303Lovers) to the label for remix duties! Next up we have "X artist Cicuendez drop his groove for Plug & Play. Wrapping things up with Vitor Munhoz, who brought us Caminos Ep, with a stellar remix! Listen now and judge for yourself.